Is This the Perfect Whitening Toothpaste? - Opalescence | Valet. By Jordan Taylor for Valet. When was the last time you changed your toothpaste? If you're like me, you stick with the same one for years. Because, really, how different are they? Or, at least, that was my thinking until a friend introduced me to Opalescence. It all started with a comment about her bright, white smile and she told me that it was thanks to a toothpaste she had gotten from her dentist. 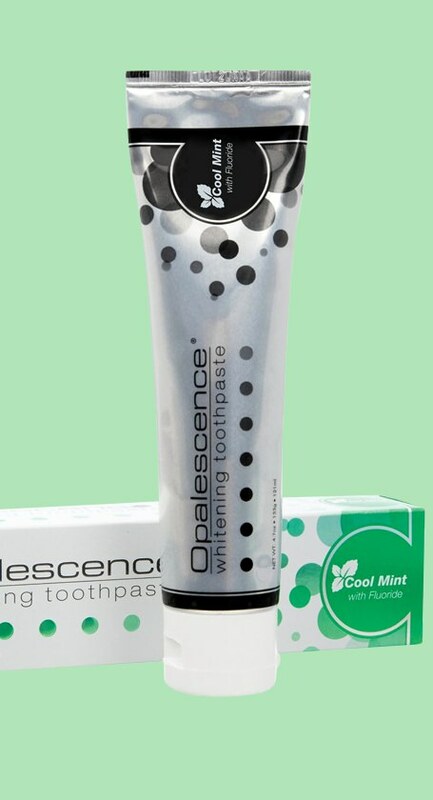 This isn't your typical whitening toothpaste. Instead of using peroxide, Opalescence removes surface stains by scrubbing them away with natural silica. The uniquely formulated paste is highly effective but not dangerously abrasive. In fact, you can safely use it every day and the end result isn't just brighter, whiter teeth but smooth, clean-feeling teeth like just after a professional cleaning. I know what you're thinking. This sounds like your sanding down your teeth and how can that not cause sensitivity? Well the truth is, many toothpastes (especially whitening ones) have abrasive ingredients to polish away stains. But on an official ranking of "Relative Dentin Abrasion" (PDF), this one gets a score of 90—well below (or safer on tooth enamel) than Crest Pro Health Whitening's 162 and Colgate Total Whitening's 142. In fact, Opalescence rang in just under Aquafresh Sensitive. And unlike those big drugstore brands, this toothpaste isn't overly sweet and gloppy. It has a fresh mint flavor and leaves your mouth with a truly clean, tingly feeling. And as for whitening, you can expect to get your teeth up to two shades lighter in as little as four weeks. What's more, you don't even have to hit up your dentist to get it. It's readily available online.